Please read these booking conditions carefully. All holiday reservation requests (whether via email, telephone or post) are considered to be an acceptance of these conditions. Cornish Gems Ltd (CG) act as an agent for the owner (the Owner) in the letting of their property (the Property) to you, the hirer (You). When You make a booking through CG, You enter into a contract with the Owner. 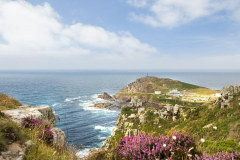 Cornish Gems does not hold any ownership in the properties but acts as an agent for the Owner of the property. 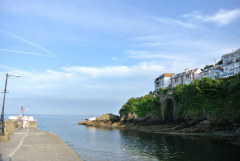 The rental arrangements are made by Cornish Gems on behalf of the Owner and the contractual relationship is directly between the Owner of the property and You. 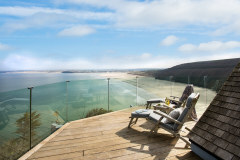 Cornish Gems will upon request, provide the name and address of the Owner of the property You have booked. 2.1 CG accept all major credit and debit cards. A non-refundable booking fee of £30 is charged on every booking. Cheques are not accepted as payment. Once CG have communicated the booking to You, a minimum administration fee of £25.00 plus vat is payable for all changes to the booking. Any alterations involving re-invoicing will carry a £25.00 plus vat fee payable for each alteration made. Cancellations or Requests for a Property transfer will be handled as a cancellation (see section 19). 2.2 Bookings made within 4 weeks of your holiday start date must be paid for in full, including any additional charges and security deposit (see section 12 for more information on security deposits). No refunds will be provided for a cancellation of the holiday after payment has been received. For a booking made more than 4 weeks before your holiday start date, a deposit of one third of the total rental is payable. This deposit and/or any early-pay holding deposits and the booking fee are non-refundable. 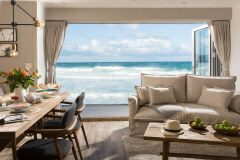 Upon payment of the deposit and subject to acceptance of the booking, the balance of the rent plus the damage deposit and the cost of any bespoke service requirements must be made on or by the date which is 4 weeks prior to the holiday start date (the Payment Date). CG will inform you of the Payment Date at the time of the booking and remind you by email as the date approaches. If the balance is not paid on or by the Payment Date, You authorise CG to debit the bank card provided for the balance on the Payment Date. If payment of the balance, for whatever reason, is not received by CG on or by 3 weeks before the holiday start date, CG reserve the right to cancel the reservation, to retain the booking fee and deposit and seek from You payment of the outstanding balance. You, as the party leader, must be over 18 years old. You acknowledge that CG staff have no authority to vary these booking conditions or any of its printed matter and that You have not relied on, and shall have no right or remedy in respect of, any statement, representation, assurance or warranty (whether made negligently or innocently) other than as expressly set out in these conditions or any of CG printed matter. Whilst the contract is made on the understanding that the Property and its published facilities will be available for the dates stated, all of the properties are subject to availability. In the unlikely event that CG or the Owner has to cancel the booking, CG will, if possible and as soon as reasonably practicable, offer You alternative accommodation of a similar type, standard, location and price. As the alternative property is likely to be owned by a different Owner, the advertised cost of the alternative property will be payable. If the cost is higher, You may be able to claim the price difference from the original Owner. If the cost is lower and You have already paid the full amount for the holiday, You will receive a refund of the price difference. If you do not wish to accept the alternative property You will receive a full refund of all monies paid to CG but You will have no further claims against CG or the Owner. The maximum number of people allowed is stated in every description and extra persons cannot be accommodated. You shall not part with possession of the Property or share it, except with members of your party detailed on the booking form. You shall not use the Property for any commercial purpose. The Owner reserves the right to terminate without notice and without refund for a breach of this condition. The Property shall be available from the check-in time highlighted on your welcome information until 10.00am on the departure date. Early check-in is available at an additional cost for some properties (please ask a member of the team for details). You must vacate the property by 10.00am on the departure date. Failure to do so will result in You being charged a further day’s proportionate holiday cost at the prevailing tariff into which Your occupation extends. CG will issue you one set of keys to the Property. All keys must be returned to the relevant property key safe on the departure date as directed by CG. If you lose a set of keys, CG will deduct the cost of the replacement from your security deposit. If a parking permit, key or fob for lifts, parking bollards, gates and/or garages is issued to you, you must return these as directed. Failure to return them upon departure will result in a fee of £50 being charged to you. You or your party must not smoke in any part of the Holiday Property or grounds. If it is evident that smoking has occurred during your stay You may be required to vacate the property and forfeit the remainder of your holiday. At the departure date no sign of smoking shall be evident at the Holiday Property otherwise a charge may be made to rectify the issue caused by the effects of members of your party smoking, up to and including liability for the cost of cancelling all or part of any subsequent bookings if the property has been rendered uninhabitable. 8.1 Properties that welcome dogs will be clearly identifiable on the CG website as dog-friendly. If pets are permitted in the Holiday Property no guarantee is given that the Holiday Property will have a secured enclosed garden or other means to secure the pet outside. In making this service available we are relying on you to keep your pet under strict control at all times. Please bring your own pet basket/cage and do not allow your pet on furniture, in bedrooms or on beds. A pet must not be left unattended in the Property at any time and You must ensure no annoyance, including excessive noise, is caused by the pet. At the departure date You will ensure that there is no sign that the pet has been at the Holiday Property, no waste is left in the grounds and no nuisance has been caused to neighbours. You will be liable for any damage caused by pets and if the Property is not left sufficiently clean and all dog waste removed then the cost of extra cleaning will be taken from the security deposit. Failure to uphold these obligations may result in the Owner and/or Cornish Gems asking you to provide alternative accommodation for your dog for the remaining duration of your holiday, or in extreme circumstances the Owner reserves the right to terminate Your stay without notice and without refund for a breach of this condition. Please note, if a dog is brought to a property without being declared prior to arrival, then Cornish Gems reserve the right to charge double the applicable fee. 8.3 You must not bring any pet to a property which is advertised as not allowing pets, otherwise an additional cleaning charge may be made for any additional work required to render the property habitable for any subsequent guests who may suffer from a pet allergy. Where CG website states pets are not permitted in the Holiday Property, neither the Owner nor CG give any warranty or undertaking to You or any member of Your Party that the Holiday Property is suitable for sufferers of pet related allergies. 9.1 You or Your Party must keep the Holiday Property and furnishings, kitchen equipment, crockery, glasses, bedding and towels clean and in good condition and be responsible for the cost of repairing any damage. The Property is equipped with bed linen (duvets, sheets, pillowcases), bath and hand towels, silicone oven mitts, tea towels and bath mats (one per bathroom) and all items specified on the Property's inventory. You must not cause any damage to any part of the Holiday Property, its fixtures, fittings, inventory, decoration, equipment or grounds. Failure to uphold these obligations may lead to a claim against you for costs which may be charged against your security deposit. 9.2 Cots, where supplied, are travel cots and only supplied with padded bases. High chair type may vary from property to property. All cots and high chairs meet European safety standards, however CG is not able to ensure that the cot is erected for your arrival for health and safety reasons. All baby bedding and linen must be provided by You. Additional cots and high chairs must be hired and returned to the equipment hire company by You. CG cannot be held responsible for returning these items. 9.3 The Owner will not be responsible for providing food, washing up liquid, dishwasher and washing machine powders other than a ‘starter pack’ to include a limited supply of washing up liquid, dishwasher tablets, washing up sponge , dishcloth, and 2 tea towels. There will be a clean bin bag in the bin and one spare for during your stay. A minimum of 2 toilet rolls per facility will be provided. 9.4 Clean bed linen will be provided at the commencement of the Holiday Period. No change of bed linen will be provided except where the duration of the rental is for two full weeks in which case a weekly change of bed linen will be provided. The Owner expects You and Your party to use the washing machine and tumble dryer where provided if you require clean towels and t-towels during your stay (you are not expected to wash towels and linen before you check out). Where a tumble dryer is not provided, clothes airers will be available. One bath sheet and one hand towel are provided for You and each member of Your Party. Additional hand towels are provided in each toilet facility. A charge will be deducted from the security deposit in respect of each towel lost or damaged. Should You require a fresh set of towels then these can be provided at an extra cost to You on a person by person basis. 9.5 Where the Holiday Property has amenities such as swimming pools, hot tubs, boats or other leisure facilities, the use of these amenities are offered entirely at your own risk and no responsibility can be accepted for injury, loss or damage to You or members of Your Party, except where the Owner and/or CG have breached a legal duty of care owed to You or Your Party or breached the terms. 9.6 Rubbish and recycling - You are required to put refuse/recycling in the appropriate place to await collection in accordance with the instructions provided by CG. You are also required to return the bin to the appropriate location following collection. Please notify CG if a collection is missed. We recommend all our properties provide WiFi for our guests and it will be made clear in the Holiday Properties particulars whether the Property You have booked includes WiFi. However, no warranty is given as to the speed of the wi-fi service nor its reliability as the factors vary considerably according to location, service provider and other factors. WiFi service is provided with the expectation that speeds/data allowance may be limited and no compensation will be given as a consequence of slow speeds/over consumption of data usage. WiFi may not be available at all times and is provided for pleasure and not business purposes. Bookings cannot be accepted if they are reliant on the provision of uninterrupted and unlimited provision of WiFi. Please take reasonable steps to ensure that the property You book is suitable for your needs. Please familiarise yourself with the exact location of the property using the Google map feature provided on the website property page. Properties displayed under the location headings may be in the vicinity of the location stated and you can then establish distance to local amenities using the Google map feature. Please ensure you familiarise yourself with the property access, facilities, layout, grounds and/or garden so that you can make a fully informed decision about a property’s suitability to your requirements, needs and taste prior to making a confirmed booking. Please contact your sales team should you require further clarification. 12.1 All bookings are accepted on the condition that the Property will be respected, and that You shall be responsible for any loss and/or damage to the Property and/or its contents. You are to take good care of the property and leave it in a clean and tidy condition at the end of your stay. 12.2 On booking the Property and when paying your final balance You will have the option to either pay a Good Housekeeping Deposit (Deposit) or a Good Housekeeping Waiver (Waiver). The Deposit is a deposit of either £250.00, £500.00, £1,000.00 or £2,000.00 depending on the property you have booked. This is a pre-authorised amount which will be held on your card from the day before check-in - the amount will depend on the property you are booking (see 12.4 for more detail). The Waiver is a non-refundable payment which covers You for damages up to five times the Waiver paid (see 12.5 for more detail) - the amount will depend on the property you are booking. 12.3 The option to choose either the Waiver or Deposit amount will be given to you at time of booking and must be finalised prior to Your check-in. Access to the Property will not be granted without either payment of the Waiver or a successful pre-authorisation of the Deposit funds. 12.4 If You have chosen to pay the Deposit then the day before your arrival CG will pre-authorise your nominated card for the Deposit amount. This pre-authorised amount will be held on the payment card used for settling the balance of your holiday. Should you wish to use an alternative card, then you will have the opportunity to provide card details when paying the balance of your holiday, either online or over the phone (please note you can use a credit card for this). Please be aware the pre-authorisation will not show as a transaction on your statement as the amount is simply held and will be released in full within 14 days of departure, provided no loss or damage has been incurred and the Property is left in good order. 12.4.1 The Property shall be checked following your departure. CG shall report to You in writing within 7 days of departure, with details of the damages/loss incurred and/or additional cleaning costs with an indication of any possible deductions along with photographic evidence (where applicable). You will have 5 working days to respond with any queries. During this period of investigation, CG will debit the full Deposit amount from your card. Once investigations are complete, CG will confirm final deductions and refund any monies owed to You within 48 hours. Please note CG reserve the right to charge an administration fee for the processing of any damage claims. 12.5 Where You have chosen to pay the Waiver, the Deposit is not payable. The Waiver fee is calculated as a percentage of the Deposit and covers You for costs up to five times the Waiver (including vat) value. The Waiver is non-refundable. The maximum Waiver fee payable for any property shall not exceed £240 (incl. VAT). For example, the Waiver covers accidental damage repair and extra cleaning costs (see 12.4.1) of up to £150 where a £30 Waiver (inclusive of vat) has been paid, up to £300 where a £60 Waiver (inclusive of vat) has been paid, up to £600 where a £120 Waiver (inclusive of vat) has been paid and up to £1200 where a £240 Waiver (inclusive of vat) has been paid. You will be liable for the balance of any costs above the total covered. You will pay such excess to CG within 14 days of being notified of the excess. You will be advised of any costs actioned against the Waiver. 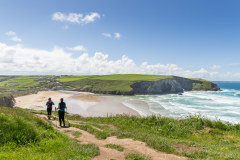 12.6 Reasonable charges will be applied against the Deposit or Waiver for miscellaneous repairs and/or replacements and additional cleaning of furnishings, kitchen equipment, crockery, glass, bedding and towels damaged or soiled, otherwise than by usual wear and tear, during the holiday period by You or other members of your party. In the event of a property providing a barbecue, these must be left clean, failure to do so will lead to cleaning costs being applied to the Deposit or Waiver. 12.7 Criminal or wilful damage will not be covered by either the Good Housekeeping Waiver or Good Housekeeping Deposit. 12.8 We, or the Owner, reserve the right to seek to recover further reasonable costs if the Deposit or Waiver cover total is insufficient to repair or replace any damage caused to the Property or its contents during your stay. In this instance CG will upon request, provide the Owner of the property you have booked with your name and address. You or Your Party must allow the Owner and/or CG access to the Holiday Property at all reasonable times and in the case of emergency at all times with or without You or Your Party being present to enable maintenance work to be carried out, allow visits to enable the Owner and/or CG to comply with all relevant statutory requirements and the requirement of all regulatory bodies to which the Owner and/or CG belong relating to the Holiday Property. The Owner or his representatives shall be allowed access to the Property at any reasonable time during any holiday occupancy. You or Your Party must not do anything that may reasonably be considered to cause a nuisance or annoyance to the Owner or to any other occupier of adjoining or neighbouring premises. CG or the Owner may cancel the booking and take back possession of the Property and its contents if they reasonably believe that You are in breach of a material booking condition or that damage is likely to be caused, has been caused or is being caused by You or any members of your party. This will be treated as a cancellation by You and no refund of any monies paid in respect of the booking will be made. CG and the Owner shall not have any liability for any losses suffered as a consequence of the cancellation. 15.2 You or members of Your Party must park only in the designated parking areas, if provided, and not cause any obstruction to occupants of neighbouring properties. Parking may not always be directly outside your chosen property. If the Holiday Property has the benefit of an on-street parking permit or any other form of parking permit You will be responsible for any fines imposed for failure to display the permit as directed by CG. 15.3 CG and the Owner do not accept any liability in relation to any damage to, or loss of, your personal property and belongings except where the damage or loss is caused by the negligence of CG or the Owner. It is your responsibility to ensure that you have adequate holiday insurance cover. Lost property will be held for a period of 14 days from the departure date. Items will be returned to You if requested, at a cost of £10.00 plus postage and packing. CG do not accept responsibility for the safe carriage of any items returned. Items of food and drink will not be returned. CG is unable to provide advance warning of nearby building as in the vast majority of cases we are never advised when and where they will occur. However advance warning will be provided where possible (in the event CG are made aware of such works in the first instance) if works may potentially compromise safety, access and the view from the front of the Holiday Property. 16.1 Bore Holes and septic tanks - some of our unique and remote Holiday Properties have to rely on septic tanks to store toilet waste. It’s important not to use bleach products where septic tanks are present as these can cause the septic tank to smell. Sanitary and baby products should not be put down the toilet but disposed of in a safe and hygienic way using the bins provided. Please be aware that in some extreme circumstances, bore holes have been know to run dry in spells of hot weather and the owner and/CG will do all they can to manage the situation should this arise..
17.1 For Your safety, it is important that you read and adhere to the important information provided within Your Holiday Property. This information includes; Fire Safety Notices and evacuation procedures as well as information regarding the use of facilities such as hot tubs and swimming pools. Appliance instruction manuals should be provided by property Owners (within the Property) along with any additional troubleshooting information where Owners deem necessary. CG understands its duty of care to customers and has ensured that the premises are reasonably safe for the purpose for which customers are invited to use them, however, each customer has a duty of care to take care of his or her own safety. CG cannot be held responsible for a customer's own negligence so please ensure you use the facilities safely and responsibly. 18.1 Some of CG’s Holiday Properties have hot tubs. If Your property has a hot tub it will be clearly stated on the website Property information page. For Your safety and and enjoyment there are strict rules and guidelines that must be adhered to when using the hot tub. You as the party leader, are responsible for making sure that all members of Your party are aware of and strictly adhere to the guidelines. It is vital that the hot tub is kept clean for your own safety. Failure to do so may result in a deduction from your security deposit to pay for the drain down and cleaning of the hot tub. 18.2 It is very important that the hot tub is NEVER switched off at the mains switch (even when not in use) and that the lock cover is in place when the tub is not in use. Always unclip the lid before removal is attempted. Do not drag the vinyl cover using the cover straps, always use the handles. Do not stand on the tub cover. Any damage to the cover or tub will be charged for. Do not attempt to open the electrical box. Do not remove suction fittings (filter standpipes) located in the filter compartment. Always shower and use the toilet before use. Do not submerge your head under the water, do not drink the water, or allow the water to enter your mouth. Children under the age of 16 must not be allowed to use the hot tub. Do not jump into the hot tub. People with infectious diseases should not use the hot tub. Keep all loose articles of clothing or hanging jewellery away from rotating jets and other moving components. The use of drugs, alcohol or medication before or during tub use, may lead to a danger of drowning. Persons using medication should consult their doctor before using the tub. Do not use the tub if your medication induces drowsiness, affects your heart rate, blood pressure or circulation. Pregnant women, persons suffering from obesity, heart disease, low or high blood pressure, circulatory problems, or diabetes should consult a doctor before using the tub. Do not use the tub immediately after strenuous exercise. Do not use any glassware or crockery in the tub. If glassware is broken this will result in a charge. Do not allow any pets in the tub. Do not use detergent or soaps of any kind in the tub. The tub is very deep; do not allow anyone to sleep in it. Please take every care to use the hot tub responsibly and please do consider your neighbours if using the hot tub at night as complaints will be taken very seriously. Hot tubs must be vacated by 10pm in residential areas. 19.1 To cancel your booking, You must telephone CG on the number shown on your booking confirmation as soon as the reason for cancellation occurs. You must immediately confirm your cancellation in writing. The day CG receives your written cancellation is the date on which your booking is cancelled. If the written confirmation is received greater than 28 days before the start date of the holiday, then only the deposit and booking fee shall be retained and any balance held by CG shall be returned to You. If the written confirmation is received by CG 28 days or less from the start date of the holiday, then the full rental payment (if held by CG) shall be retained, or alternatively be payable by You. 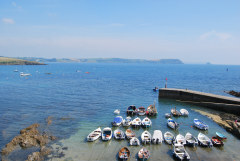 CG strongly recommend that You take out holiday insurance which includes holiday cancellation. 19.2 Voluntary Curtailment. If You depart voluntarily from the Property before the end of the date of the rental period, no refund shall be given in respect of the portion of the rental period when you do not occupy the property. Should any complaints arise during Your stay, please allow CG and/or the Owner the opportunity to investigate the matter further. As soon as is reasonably practicable after the problem arises, you should contact CG’s customer services team at customerservices@cornishgems.com, giving full details of your complaint. CG will make every effort to deal with your complaint quickly and efficiently. In no circumstances will compensation be made for complaints raised after the holiday has ended when the visitor has denied CG and/or the Owner the opportunity of investigating the complaint and endeavoring to put matters right during the holiday. If however You have followed the above process and remain dissatisfied, You must within 30 days from the date of the end of your holiday put your complaint in writing to the CG head office. CG will thereafter provide assistance in attempting to resolve the complaint between You and the Owner and/or CG. Whilst CG make every effort to ensure the accuracy of the information contained in all advertising and other promotional literature, the information and prices may have changed by the time You come to book or there may have been an error. CG reserve the right to amend prices quoted for the Property in any advertising material due to error, omission, or changes in the VAT rate and, to change the payment processing charges. You must check all material details of the Property with CG at the time of booking. CG cannot accept any responsibility or liability for any inaccurate, incomplete or misleading information about the Property or its facilities and/or services, except in the case of negligence by CG. CG will however use its reasonable endeavours to notify You of any changes to or any inaccuracies in any information contained in any advertising material provided to you relating to the Property as soon as reasonably practicable. Neither the Owner nor CG can accept responsibility or pay compensation for failure to perform any of its obligations if such failure results from events, circumstances or causes beyond its reasonable control (such as a breakdown of domestic appliances, internet access, plumbing or wiring, exceptional weather conditions, neighbouring building works, non-availability of public transport, destruction or interruption of utility services, epidemic, temporary invasion by pests, and changes to or the withdrawal of specified amenities or facilities mentioned in CG's advertising literature either before the Commencement date or during the Holiday Period). CG and the Owner shall have no liability for any death or personal injury unless this results from the negligence of CG or the Owner. As CG acts only as the agent for the Owner, CG accepts no liability for any acts or omissions of the Owner, to include any shortcomings or defects with the Property. CG total liability in respect of any losses arising in relation to the letting of the Property shall not exceed the amount paid by you to CG for the Property. CG will endeavour to provide any concierge services/hampers requested to the best of its ability and subject to availability. CG cannot however guarantee provision of concierge services for last minute deals or holidays booked within 4 weeks of commencement. Prices for concierge services are subject to change. For properties where CG are only the bookings and marketing agent and don't manage the housekeeping, CG reserves the right to add a delivery charge for all hampers/veg boxes etc. Where the concierge service involves an activity provided by an independent contractor, CG accept no responsibility or liability for any losses or injuries caused by you undertaking the activity. CG shall however endeavor to ensure that the independent contractor has adequate experience. CG’s service partners are all hand picked and all necessary checks and insurances have been confirmed prior to working with CG. Please note the concierge charges quoted are exclusive of our booking fee and VAT. Please note that our standard welcome packs for managed properties contain dairy, gluten and may contain traces of nuts - please inform the office if you have any allergies and the item will be removed from your pack. For managed properties where Prosecco is supplied as part of a package please be advised that the ABV content of the Prosecco is 11%. Please inform the office if you would prefer to not receive Prosecco. No alternatives will be offered. Due to commitment made with third party suppliers, CG will not refund monies to You after deposits and/or full balances have been paid for concierge service(s).To cancel your concierge booking, You must telephone CG on the number shown on your booking confirmation as soon as the reason for cancellation occurs. You must immediately confirm your cancellation in writing. The day CG receives your written cancellation is the date on which your concierge service(s) will be cancelled. If the written confirmation is received greater than 28 days from the start date of the holiday, then only the deposit shall be retained and any balance held by CG shall be returned to You. If the written confirmation is received by CG 28 days or less from the start date of the holiday, then the full payment for concierge service (if held by CG) shall be retained, or alternatively be payable by You. 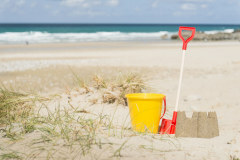 We strongly recommend that You take out holiday insurance which includes cancellation of holiday "extras". Properties included in any discounts will be highlighted online where the weekly price will be visibly reduced. Properties where the discount is not visible are not included in the promotion. These conditions and any dispute or claim arising out or in connection with its subject matter shall be governed by and construed in accordance with the law of England and Wales. Vouchers can be redeemed towards any stay at any CG property and are valid for 24 months from date shown. Any outstanding voucher balance cannot be exchanged for cash. Copies will not be accepted. Vouchers cannot be redeemed against a current booking that's been made prior to the date shown on the vouchers. Where a full gallery and description of the property is unavailable, advance bookings can still be made following our usual booking terms. Our Travel Advisors will notify guests via email within 48 hours of the full description and images going live on our website. Following this notification, a grace period of 7 days will be offered to guests (who have made a confirmed booking) to make a decision whether or not to proceed with the booking. Guests are required to confirm via email that they wish to proceed as per our booking terms, if not, the booking will be cancelled and a full refund of the deposit will be provided. Unable to access WIFI is NOT deemed an emergency. Please refer to your property welcome letter for relevant contact numbers should an emergency arise. Any issue not deemed an emergency will be responded to on the next business day by the office team. 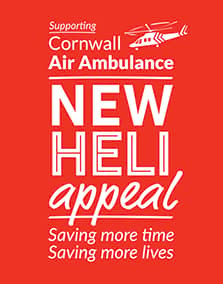 It is important that you remember to download ALL your welcome information prior to the start of your journey as mobile signal in Cornwall is not always reliable. Breaks, retreats and package bookings are subject to the same terms and conditions of hire as accommodation bookings. A non-refundable deposit of a third of the total break cost must be paid to secure the booking, the remaining balance is due 4 weeks before arrival. Where meals are provided it is the lead bookers responsibility to inform us of any allergies or dietary requirements at least 14 days before arrival. A set menu will be provided and no refund or discount will be offered if meal(s) are not required or consumed. Where an itinerary for a break has been provided each guest will be responsible for presenting themselves at the given place at the given time. No refunds will be given for any missed activities. 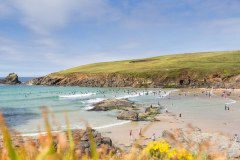 In the event that a break cannot go ahead due to unforeseen circumstances or minimum numbers not being met Cornish Gems will notify guests 10 days prior and a full refund will be made or the option to move to an alternative break. 31. These booking conditions replace and supersede all previous booking conditions.